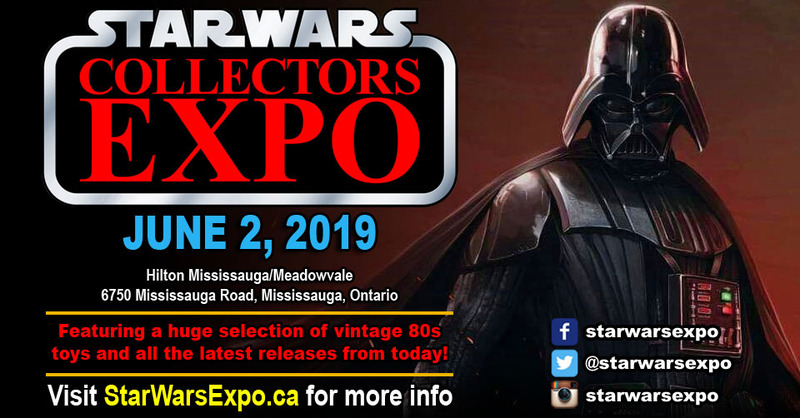 The Canadian Star Wars Collectors Expo returns June 2nd, 2019 to the Hilton Mississauga/Meadowvale – 6750 Mississauga Road, Mississauga, Ontario. The show features a huge selection of vintage and modern Star Wars toys and tons of other action figures, lego, comics and collectibles. To apply for a spot in the Star Wars Collectors Expo Dealer Room please fill out the exhibitor registration form.